Hello! 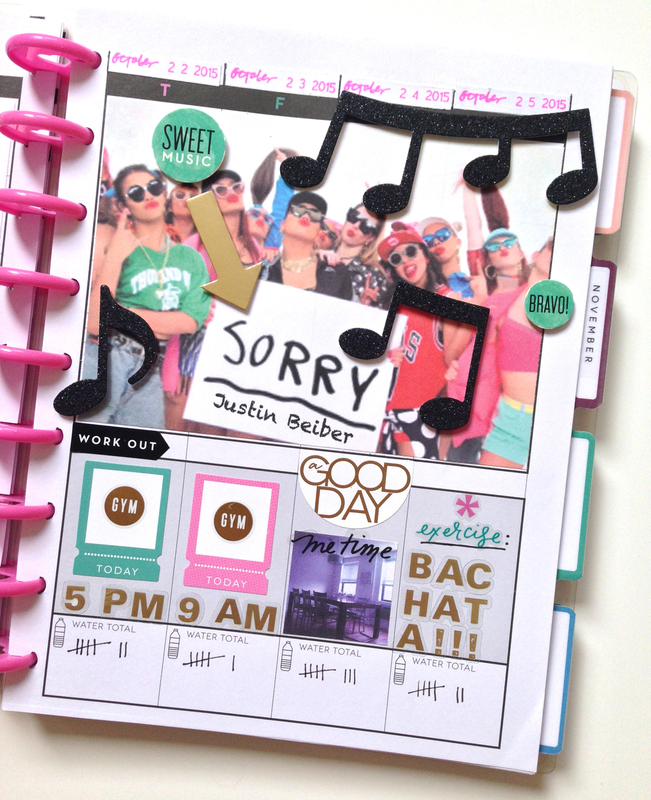 Amanda Zampelli - the Social Media Coordinator for me & my BIG ideas - here, and today I'm sharing with you all how I setup the initial pages in my Happy Planner™ Fitness Planner. To 'sign' my name on the first page, I used gold foil letters from the Gold Foil Alphas & Words mambiSTICKS sticker pad, and stuck a watercolor style heart sticker and a gold foil 'choose happiness' sticker: both from a brand new mambiSTICKS sticker sheet. On the next page, for the month of October, I decided to print and stick a recent picture of myself in workout gear as a reminder of how hard I worked and how far I've come. 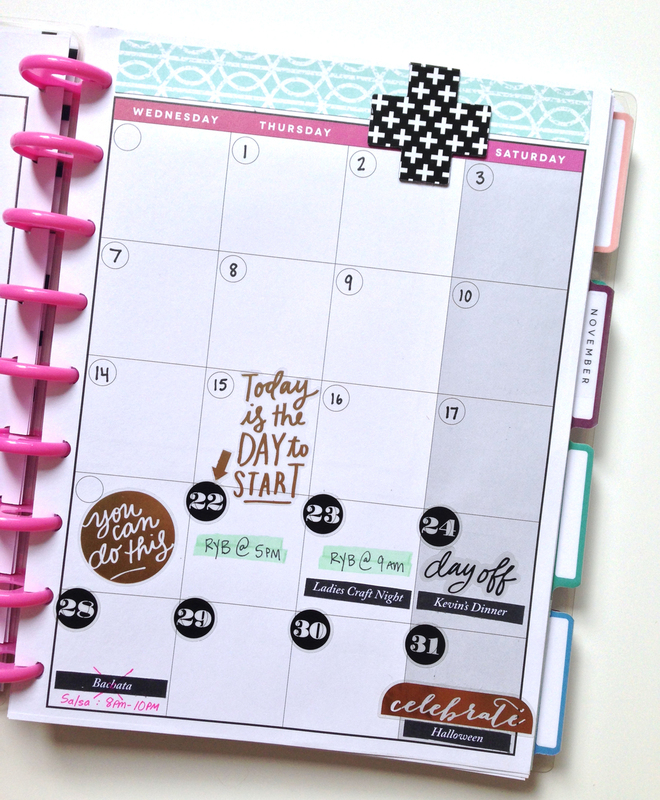 I wrote about in the left-most column, and used sticker from the Fitness Planner BOX KIT as motivation. I also felt empowered at starting this fitness log on Thursday, October 22nd, because so often in the past I'd wait for a Monday or the first of the next month to start making healthier choices for my body. That sticker reading 'today is the day to start' was the bold statement I needed to really get focused on tracking my wellness plan. For my second Weekly Food and Exercise Log pages, I left room to journal in my meals. I included motivation photos in the left-hand column, and embellished the Saturday column for Halloween, since I'd be giving myself a break from journalling my food that day. Shop the supplies I used for these pages by clicking on the items below. PLEASE NOTE: The Fitness Planner BOX KIT is sold out on the online store, but are available NOW for purchase at select Michael's stores. Also important to note: once they're gone, they're gone.